"If Rodgers' system works as intended, Leicester should be a greater attacking force with Ricardo Pereira and Ben Chilwell on the flanks and James Maddison and Harvey Barnes pulling the strings in central midfield." 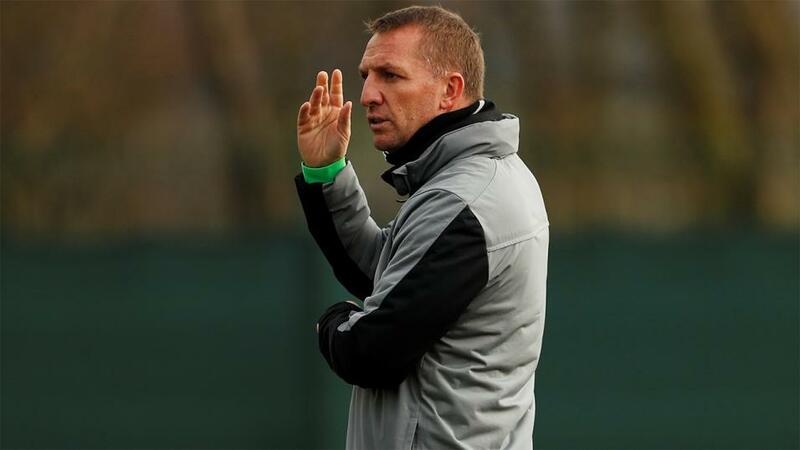 In this battle of the Premier League's most recently appointed managers, Brendan Rodgers takes charge of his first home match with Leicester, having lost his opening away game 2-1 at Watford last weekend. Rodgers switched immediately to his preferred three-man defence against Watford. After a slow start, his players got to grips with the system better in the second half and were arguably unlucky to lose to a stoppage-time goal. That defeat left them in 11th on 35 points and, with relegation unthinkable and a sizeable gap to seventh place, Rodgers can use the remaining nine games for further tinkering with next season in mind. There is a doubt over Jamie Vardy's fitness after he went off late in the Watford match with a head injury. Daniel Amartey and Marc Albrighton are on the long-term injury list. Fulham showed some fight at home to Chelsea in caretaker boss Scott Parker's first match but class told in the end and they lost 2-1, their eighth defeat in nine league games since the turn of the year. The Cottagers remain in 19th place, 10 points from safety with nine games to play. Leicester themselves were bottom at this stage four years ago and staged a great escape with 22 points from a possible 27 - the season before their amazing title triumph - but Fulham look doomed. Ryan Babel went off late in the Chelsea match but is expected to be fit and Andre Schurrle could be available after missing the last three games. Goalkeeper Marcus Bettinelli and centre-back Alfie Mawson remained sidelined with injury. This is the type of fixture where Leicester struggled under Claude Puel, a major factor in his departure as Foxes fans grew increasingly dissatisfied, and Rodgers' most urgent task is to bring the feelgood factor back to the King Power Stadium. Following his appointment Rodgers watched from the stands as Leicester beat Brighton 2-1 in their last match at the King Power, which ended a run of four straight home defeats and was only the fifth victory there in 14 games. Three of the five home wins have been against top-eight sides, which proves the quality is there but perhaps not always the right tactics or commitment to beat the lesser sides. That will have to change here but Leicester should really be able to beat a Fulham side who have lost 13 out of 15 on the road and are the only Premier League team without an away victory. The Cottagers have conceded at least two goals in 13 of their 15 away games - the exceptions were against Huddersfield and Newcastle - and it is difficult to see how Parker can make a difference with the same players who failed under Slavisa Jokanovic and Claudio Ranieri. Leicester have a 50% win rate even when they score at home, which means they are not the safest bet at short odds, but Fulham's poor figures at both ends in away games are the most persuasive factor in going for a clear-cut home win. If Rodgers' system works as intended, Leicester should be a greater attacking force with Ricardo Pereira and Ben Chilwell on the flanks and James Maddison and Harvey Barnes pulling the strings in central midfield. Backing Leicester off -1 on the Asian handicap at [2.02] looks a solid enough bet, with stakes returned in the event of a one-goal win and a full return for any margin of victory above that. Fulham have kept only one clean sheet in 15 away games but their shortcomings in attack on the road (eight blanks, joint top in the Premier League) mean they do not have the highest rate of away games with over 2.5 goals (60%). It is higher, though, away to teams in the current top 12 (75%), the games where they have taken their heaviest beatings. Leicester are 50-50 for home games with over 2.5 goals, with all of the overs coming when the visitors scored. There have been goals at both ends in five of Leicester's last seven home games and both teams to score is worth considering at [1.84], although that's putting a fair amount of trust in Fulham. The average position at the start of the day for the four opponents Fulham have beaten in the Premier League this season is 17th, the lowest in the division. The highest ranked side the Cottagers beat were Brighton, who were 13th at the time. Fulham are  for an unlikely win.